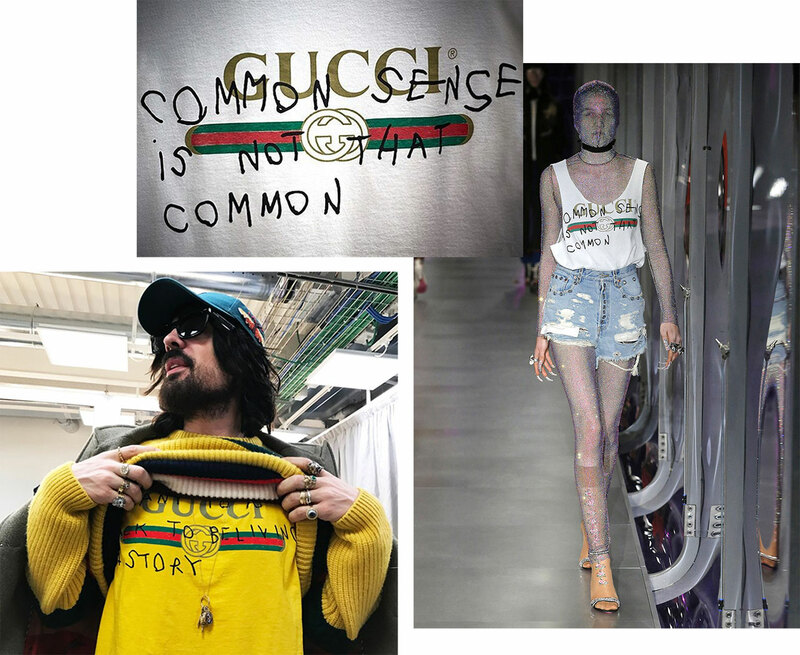 It’s hard not to extract a nuanced political commentary from a number of the 119 looks Alessandro Michele presented in his extraordinary Alchemist’s Garden collection seen overnight at Milan Fashion Week, the first gender unified collection designed by the singular creative director for the house of Gucci. As has become de rigueur for the studious aesthete, Michele enlisted the young Spanish-born artist Coco Capitán for a collaboration that spanned the length of Michele’s rapidly-expanding creative universe. The results, however, were anything but formulaic. 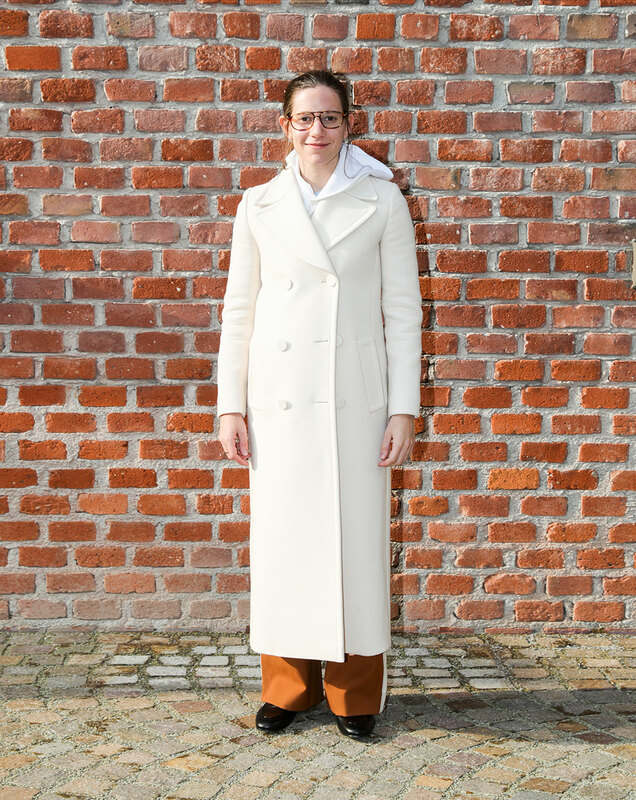 The 24-year-old London-based Capitán, who in the past has worked with labels like Paco Rabanne, A.P.C. and Maison Margiela, works predominantly as a photographer and often accompanies her photographic works with poetic texts written in a crude, all-caps manner. The same handwritten scrawl was printed on tanks, parasols, accessories and T-shirts in a number of looks that, while often among the collection’s most simple, spoke volumes as a result of Capitán’s poeticism working in tandem with Michele’s alchemical vision. And while Michele has reiterated in various interviews that it was his intention was to draw from the rich garden of the past to make fashion gold, a foreboding sense of uncertainty about the future seemed anything but unwritten. And for his finale bow, Michele emerged sporting not only a brand new, artfully mussed, shoulder-length bob but also an emblazoned canary yellow logo tee of his own. Capitán’s contribution? “I want to go back to believing a story”. View the full Gucci Autumn Winter 2017 collection here.